Couple of tough losses sandwiched in there. Team rebounded nicely though. Some mixed results to start. 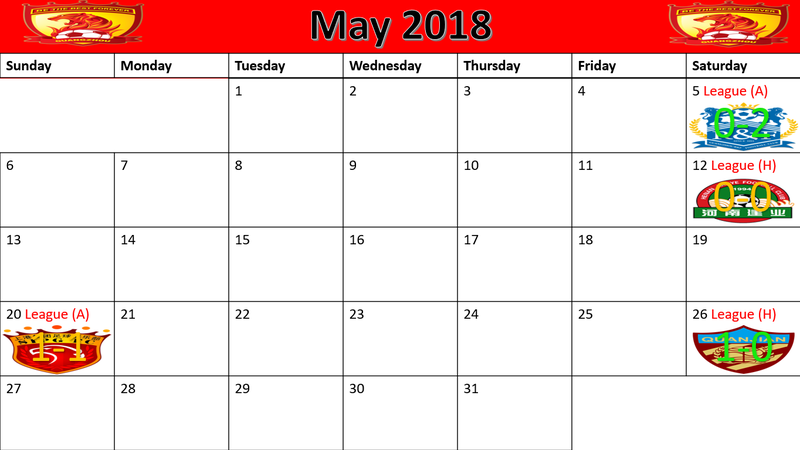 At the beginning it's always necessary to adapt and ajust several aspects, but the schedule is busy to start. I guess that the ACL isn't updated after the tough defeat against Al Hilal. Isn't it? I guess if you play an unknown league against unknown clubs it's difficult to predict what one will face the next game: you don't really know the level and approach of any team and this can cause some nasty surprises. So, given the circumstances I'd say you've made, or Fabio has, a pretty solid start. Really a rollercoaster. Started really well especially in the ACL but then the results got really mixed up. It's nothing to be worried about as it's still early in the season but certainly not the worst league over there as it seems. Pretty balanced so far. I think once Fabio gets more and more insights the results will become a bit more consistent. Like you already said, mixed results to start but still not far from the top. Once you are more familiar with the league and players, I can see this team making a run. Guangzhou Evergrande made one change from their side that beat Beijing Renhe for their 1-1 draw with Chongqing SWM with Ricardo Goulart fit again he replaced Yu Hanchao with Talisca moving to the right of midfield. Guangzhou dominated a majority of the play and took the lead when Alan’s cross to the back post found Talisca who took a touch before firing into the top corner with his weaker right foot. Talisca had a number of chances after that the best coming in the seventy first minute when Gao Lin found the midfielder unmarked in the box but rather then take a touch he hit the ball first time narrowly past the post, he was punished for that miss eight minutes later when Fernandinho’s cross from the left was met by Alan Kardec who couldn’t miss from six yards out. Alan Kardec almost stole all three points with three minutes left but his header sailed just wide of the post and both teams take a point. Guangzhou Evergrande beat bottom of the table Dalian Yifang 3-0 to move up to 6th despite going down to ten men with over 50 minutes to play. Guangzhou took the lead after just 4 minutes when Zheng Zhi got on the end of Li Xuepeng’s cross to head past Yu Ziqian. Guangzhou doubled their lead after twenty eight minutes Carvalho heading it down to Talisca who fired in a vicious volley. Talisca was dismissed ten minutes later after a horrific challenge on Li Shuai but it was Guangzhou who wrapped the game up after a fantastic defence splitting pass by Huang Bowen put Yu Hanchao in and he slotted into the corner. Fabio Cannavaro: I think it was a very solid performance, we knew it would be difficult because Dalian have some fantastic players but we kept the ball well and deserved to win. 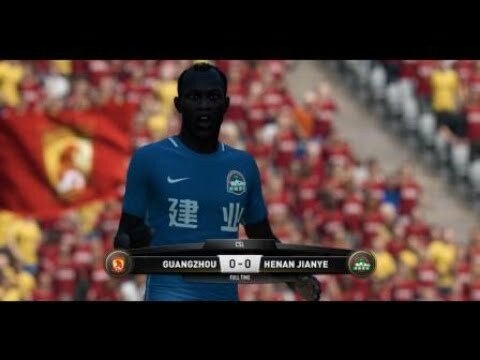 It was frustrating when Anderson was sent off because he has lost his head and he will miss three games now but I think Yu Hanchao came on and showed he can step up so hopefully we can start a run now and pick up some wins and start to climb the table. Yu Hanchao replaced the suspended Anderson Talisca as Guangzhou Evergrande lost to Jiangsu Suning 1-0 away from home. The first chance fell to Jiangsu but Eder’s effort was well saved by Zeng Cheng after good work by Teixeira, Jiangsu took the lead just two minutes later some nice passing around the area saw Eder lay it off to Wu Xi who made no mistake in firing into the top corner. 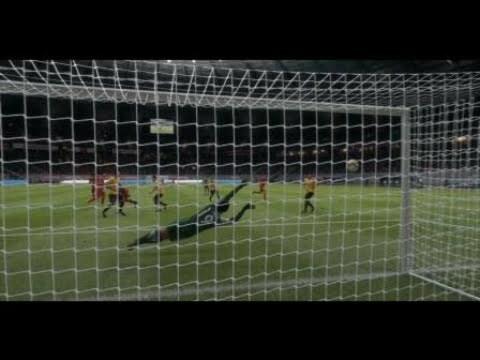 Goulart almost equalised with eight minutes left after a great run but was denied by a fantastic save as Guangzhou slump to their --- loss in the league this season. Fabio Cannavaro: We were punished today for not creating enough chances, we weren’t good enough it wasn’t acceptable and it has happened to often this season we haven’t made the start we should have and something has to change and soon. 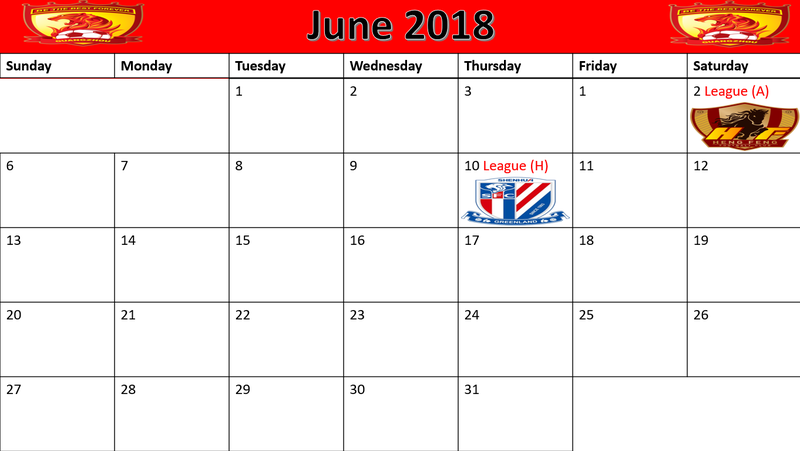 Our ambition is to win trophies but we are sat in mid table having lost 2 games already, we have a Champions League game midweek and we need a win to qualify then we need to focus 100% on the league until the quarters and hopefully we turn this form around. 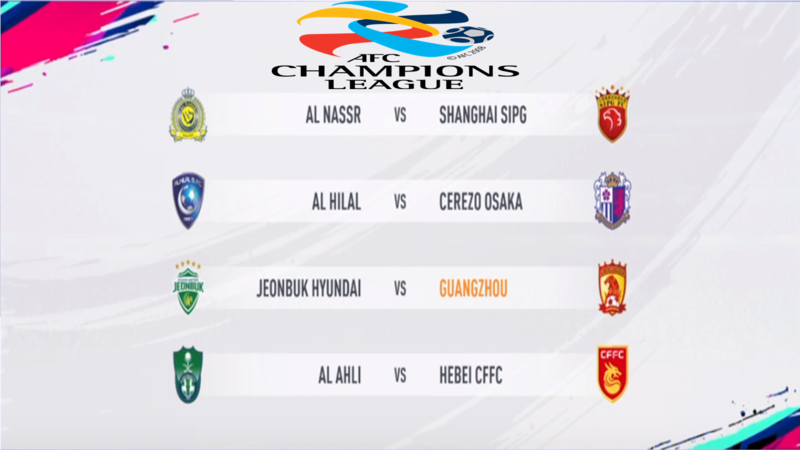 Anderson Talisca returned to the starting line up for the Asian Champions League fixture at home to Jeju United as Guangzhou Evergrande fell to yet another defeat that puts them on the brink of elimination from the Asian Champions League. Jeju United took the lead on the stroke of half time a fantastic through ball by Roberson playing Park Jin Po in and he fired into the top corner gibing Zeng Cheng no chance. Guangzhou equalised after sixty nine minutes Goulart’s header down finding Liao Lisheng who fired into the top corner from close range. 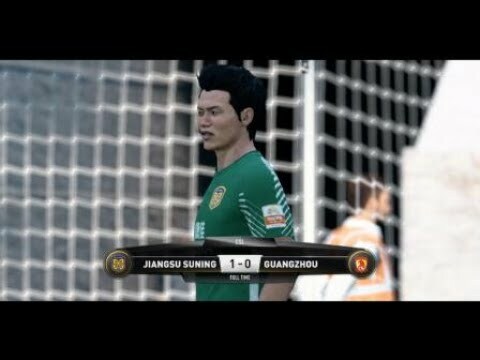 Guangzhou dominated most of the game but fell behind with just two minutes left Roberson again the creator he played the ball to Bae Il Hwan who fired past Zeng Cheng to give Jeju United their first points in the group. 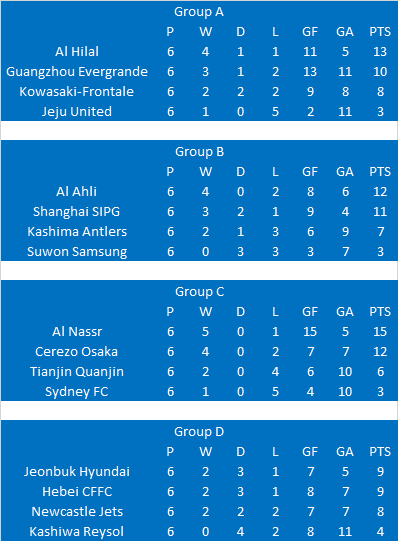 If Kawasaki Frontale beat Al Hilal later today Guangzhou face elimination from the competition in the group stage. Fabio Cannavaro: We now face elimination from the Champions League after losing to the bottom team in the group at home. It is embarrassing no disrespect I don’t mean losing because Jeju are a talented team I mean the performance of some of these players it is not good enough for what we want and we will have a look and see if we can use different options in the coming weeks. I obviously take the blame because maybe I should change it earlier but now we wait for Al Hilal’s game and hope the result favours us. Guangzhou Evergrande changed to a 4-3-3 system as they hosted Hebei CFFC as the defending Champions came from behind to win 2-1. 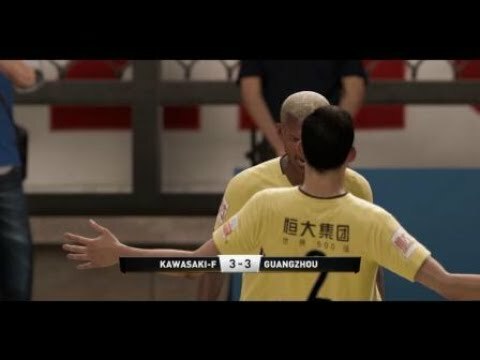 A bizarre error from Zeng Cheng allowed Hernanes the opportunity t make it 1-0 and he made the most of it firing into the empty net, Guangzhou equalised twenty minutes later Huang Bowen cutting the ball back to Zheng Zhi who curled his effort into the bottom corner. Guangzhou took the lead with twenty two minutes left Liao Lisheng finding Huang Bowen who fired brilliantly into the bottom corner to hand Guangzhou a much needed three points. Fabio Cannavaro: I am delighted with the character the lads showed after going behind so early after a terrible mistake. I thought we composed ourselves didn’t let our heads drop and we kept going trying to play our game and we saw it paid dividends with the win. I think the new system worked well the midfielders were in and around the box and they scored the goals because of that and obviously we got a much-needed win. 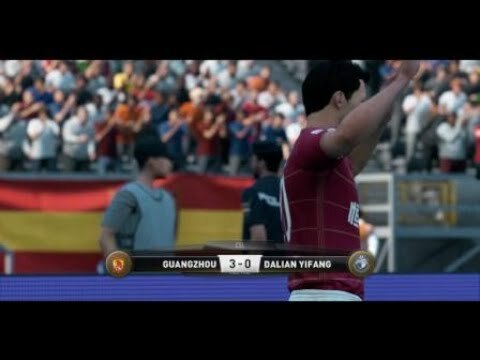 Guangzhou Evergrande made it back to back wins with a 3-1 victory over Changchun Yatai. Guangzhou took the lead three minutes before half time when Carvalho got on the end of Deng Hanwen’s cross to head past Wu Yake. 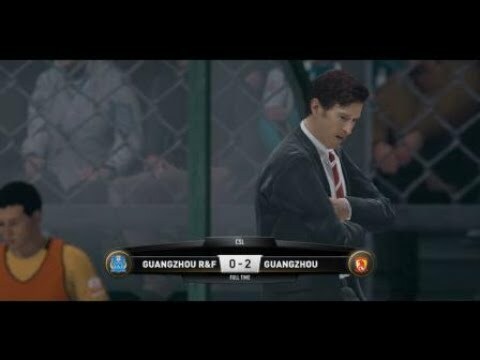 Guangzhou doubled their lead with twenty minutes left when Yu Hanchao converted Carvalho’s low cross and placed his shot into the bottom corner. Changchun pulled one back a fantastic strike from Du Zhenyu across the face of goal into the corner giving Zeng Cheng no chance. Goulart wrapped the game up in the dying seconds a spectacular curling effort into the far corner giving the keeper no chance. Fabio Cannavaro: I am so happy with this result, it has been a tough start but we now have back to back wins and we are looking better and better and we also have Anderson (Talisca) back for the next game so I am happy tonight. We have always been confident in our ability it’s just a case of getting the results we needed and it has been really hard for us to do that but hopefully it is a change and we can go on a run. Mixed results really, the last two back to back wins is something the team needed though hopefully you can build off that. I may have missed something but what happened to Paulinho is he injured or something? 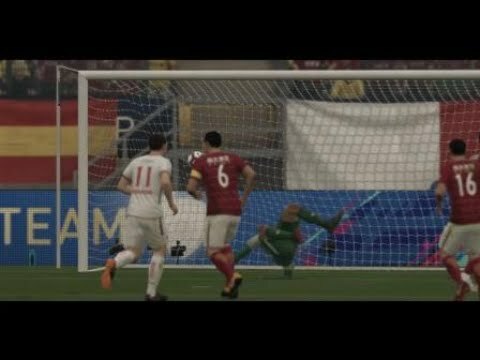 Looking like the 4-3-3 false 9 is the way to go anyway! The up and downs continue. I don't know if the ACL is in danger, but the last couple of results must have complicated things a bit. In the domestic league, the team seems to perform better though. Yup, same here. 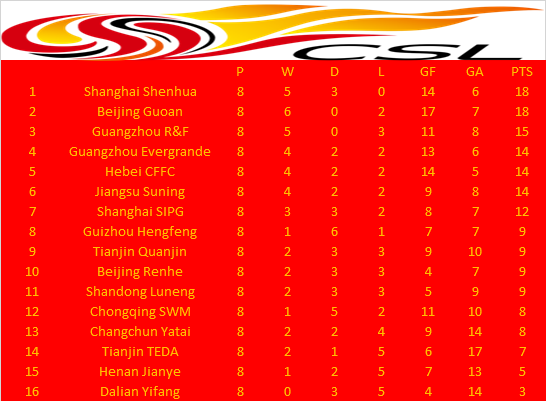 Judging by the results, it seems alright in the domestic league, but things have become tight in the ACL. 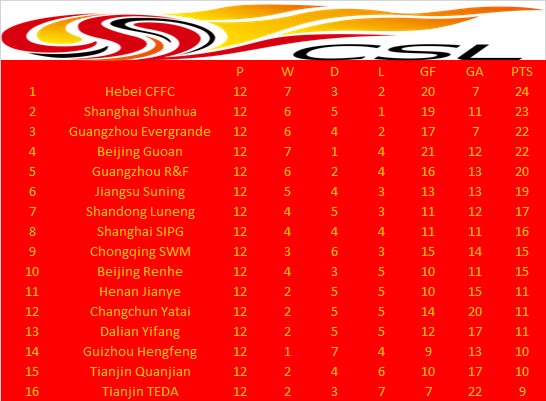 Some scores and standings accompanying the matches would be useful for the overview. Some very up and down results. Team just doesn’t seem to be firing on all cylinders at the right times. Still some impressive wins mixed in there. The mixed results continue. From highscoring to lowscoring...the team shows it all. Glad the second place in the ACL has been secured and the team is still in a good league position to fight for the top. Some consistency is needed though..
Good to see you are keeping it realistic with the Paulinho thing then, this AFC CL competition is interesting, I don't pay much attention to it so it's cool to follow how it all plays out, I think you can get to the final 4. Guangzhou made one change to their starting eleven as Ricardo Goulart picked up a pulled calf he was replaced by the returning Anderson Talisca who had just served a three-match ban. It was Talisca who stole the show with a fantastic performance. He gave his side the lead after nine minutes when he headed Li Xuepeng’s cross past Cheng Yuele. 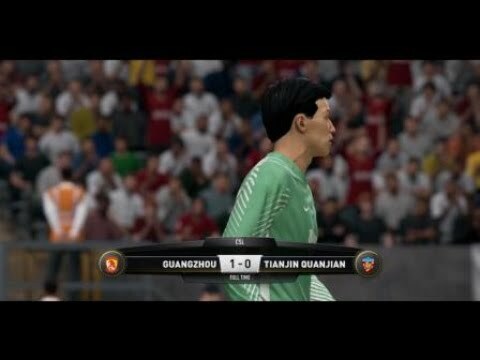 It was Talisca who got his sides second goal this time getting on the end of Zheng Zhi’s corner to head past the helpless keeper. 2-0 it finished with Guangzhou Evergrande now moving up a spot to third in the league is their title challenge coming to life? Fabio Cannavaro: I think we showed another level to our game today, we dominated the match and we deserved to win against an opponent who was above us in the league. Anderson (Talisca) in the number nine position was excellent he drops deep, he is good in the air, he can score with both feet I think this is his role now because he put in a perfect display today and should be proud of himself. Defensively we looked strong we had a majority of the ball so they couldn’t create but when they had the ball we were organised and I think we put in a great display. Guangzhou Evergrande named an unchanged eleven for their 0-0 draw at home to second bottom Henan Jianye. Guangzhou came closest in the first half when Anderson Talisca’s strike from distance clipped the cross bar with the keeper beaten. Henan Jianye thought they had taken the lead just two minutes into the second half when Christian Bassogog got in behind the defence and fired into the top corner only to have the goal ruled out for a very tight offside decision. Fabio Cannavaro: After such a dominant performance last time out we are disappointed with the way today went. It was an even game but it is a game we should be winning playing against the team that is second bottom at home but we let ourselves down and we have missed an opportunity to keep our good run of form going. 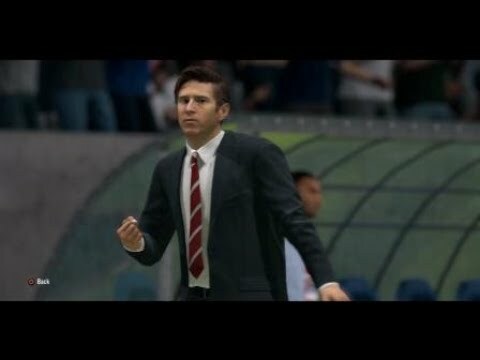 We will try to bounce back and hopefully we will have Ricardo (Goulart) available next week aswell. 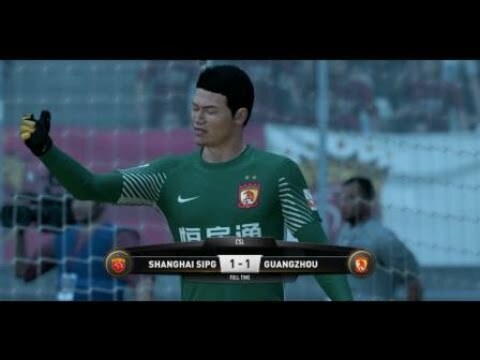 Ricardo Goulart returned from injury to take the place of Liao Lisheng as Guangzhou Evergrande made it unbeaten in 5 but back to back draws with a 1-1 draw with Shanghai SIPG away from home. Guangzhou took the lead after half an hour Deng Hanwen’s shot took a deflection and fell to Yu Hanchao his shot was going wide before Alan Carvalho nipped into to poke it home from close range. 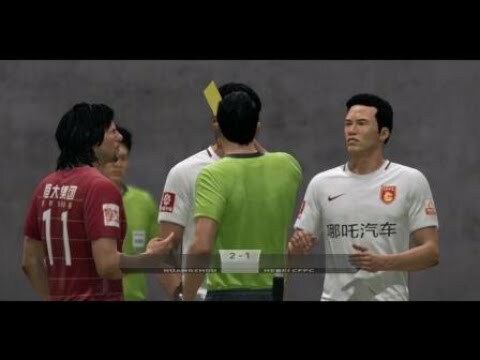 Then came the moment that angered Cannavaro, Elkeson’s shot from the right of the penalty area beating Zeng Cheng who bizarrely appeared to get nowhere near the near post strike due to his poor positioning. 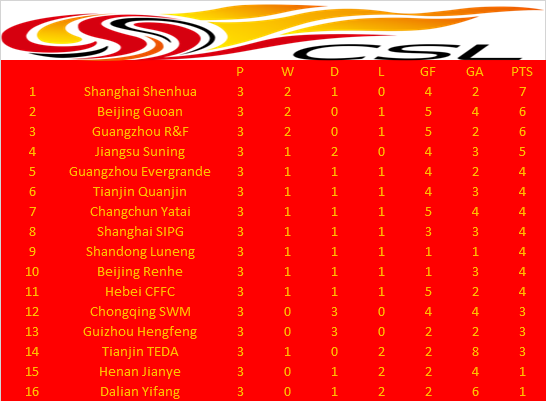 A point a piece and Guangzhou remain four points off top in fourth place. Fabio Cannavaro: I think a piece of terrible goalkeeping has cost us three points today if I’m being honest with you. We were the better team, we scored a goal and were in control and then the keeper has conceded at his near post and we only have one point and although a point here is a good result it is a case of what should have been three. Fabio Cannavaro: I am happy with how we reacted to obviously the draw in the last game, we dominated from start to finish and we should have scored more goals but the most important thing was to get the three points and maintain our unbeaten run. 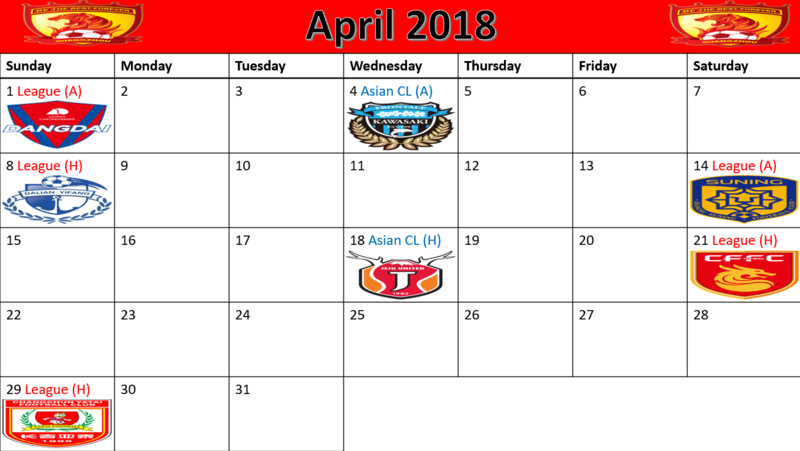 I am sad to see Tianjin struggling this season, last year we enjoyed a fantastic season but they haven’t been able to push on this year but I think they will stay up. Still irregular results, but the team is in the fight, which is the most important. Nice to see a victory in the derby as Guangzhou R&F is a direct rival too. Avoiding defeats with all the draws and wins to stay near the top. 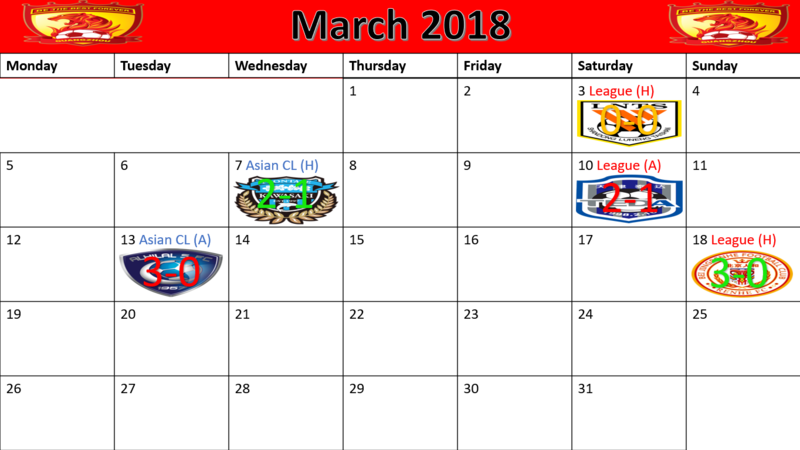 How many league matches are there? Do you get a ridiculous budget in game too?